I love this post. My little bantam is on top of the pecking order and the 2 big Barnevelders are behind her. She is also dainty but has been known to peck at the Barnies to keep them in line. I am not surprised that Hannah is at the top of your pecking order. She seems like a girl that knows what she wants! 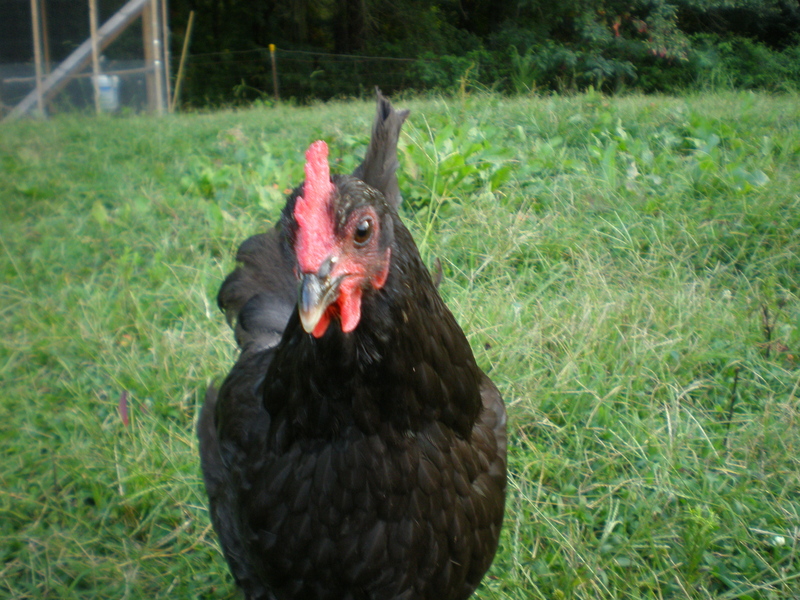 I am so happy that she is fitting in with your flock well and has decided that it is her new home. We could all take a lesson from the chickens! I agree with that in so many ways – they often provide me with a personal reality check! They are so content with such small things and simply feel in their moment.